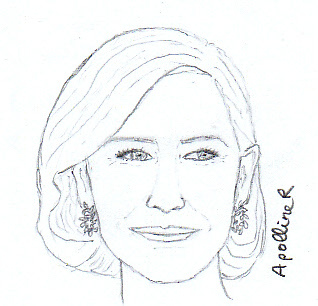 Last weekend took place the Oscars and the Césars (the French Academy Awards). 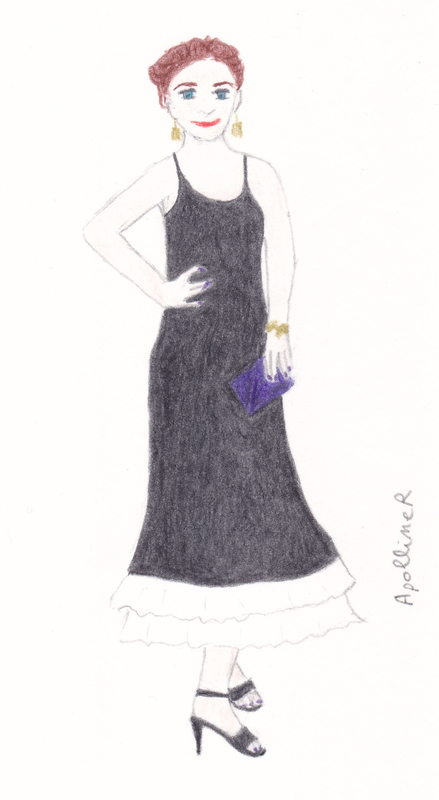 It was an opportunity to spot beautiful eveningwear, even if I regret the lack of risk of red carpet fashion. 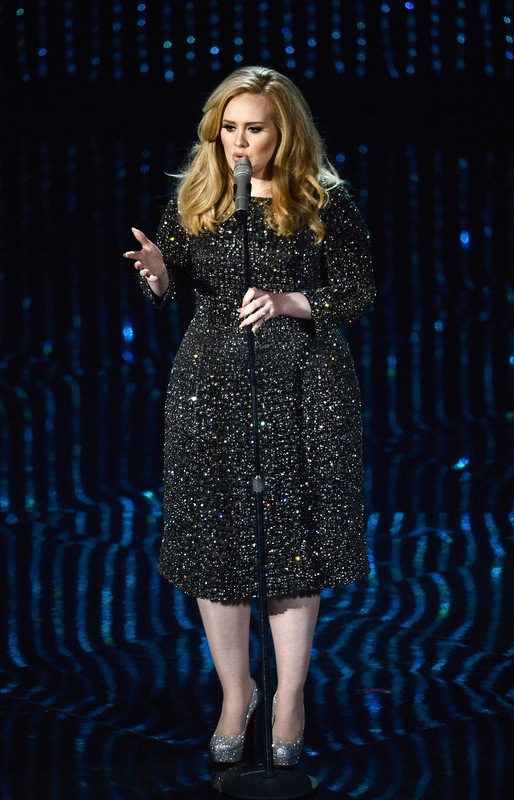 My favorite outfit at the Césars is a long black dress with openwork patterns that was worn by an unindentified woman. I found Mélanie Laurent very chic in a long black strapless gown by Saint Laurent. The actress and director was here for ‘Demain’ (Tomorrow in English) her documentary on Ecology. Incidentally Ecology was quite present at this year’s awards ceremonies: ‘Demain’ won the best documentary award at the Césars and Leonardo DiCaprio’s acceptance speech called for action on climate change. More Ecology on the red carpet with Red Carpet Green Dress project for which actress Sophie Turner wore a crepe long grey dress ethically made by Galvan. Every year, I watch the outfits on different red carpets. I spot my favorite outfits and I try to spot the most beautiful ethical or vintage outfits too. 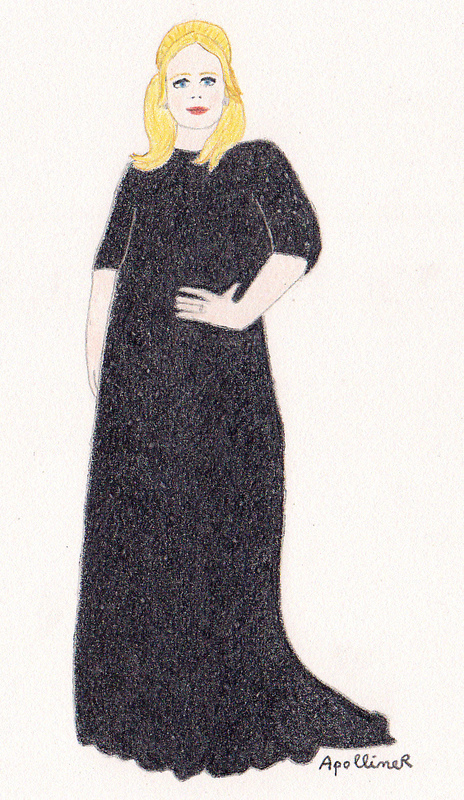 At the Academy Awards, I found that actress Gina Rodriguez outfit was a success. 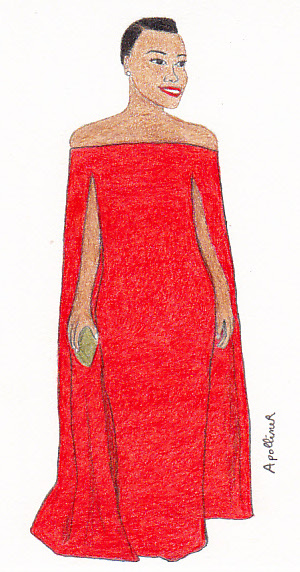 The gown was designed by Manon Gabard for Red Carpet Green Dress. The backless cobalt blue long gown is made from organic peace silk*. I especially like that her dress is as gorgeous from behind as from the front. As a Rainforest Alliance board member, model Gisele Bündchen was invited to the Rainforest Alliance gala in May 2014. Rainforest Alliance is a non-governmental organization whose goal is the protection of biodiversity and forests (you may have noticed their certified seal, a green frog, on some products). For this occasion, Gisele Bündchen wore a magic mint strapless gown by Prophetik. Surprisingly this satiny dress is made of hemp. It’s the first time I see a hemp evening gown. I already knew that hemp is ecological because it needs little water, no pesticides and it absorbs carbon dioxide. Now I can add that hemp is chic. 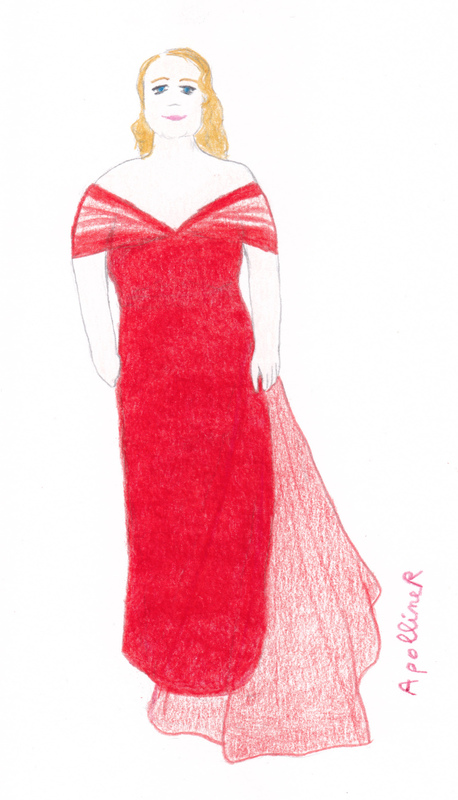 I have drawn actress Olga Kurylenko’s pink dress at the Academy Awards. 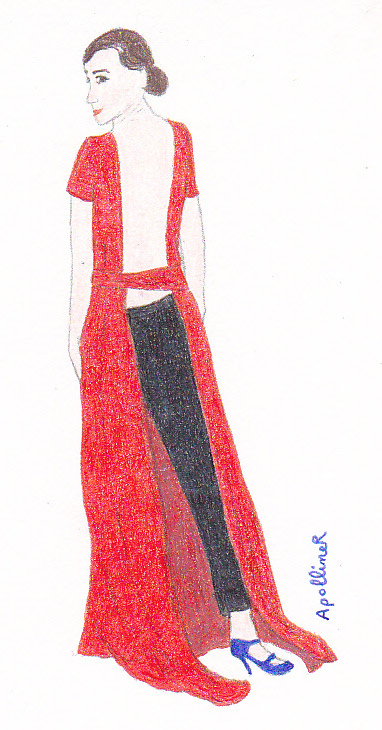 It’s a sleeveless garnet-colored long gown. 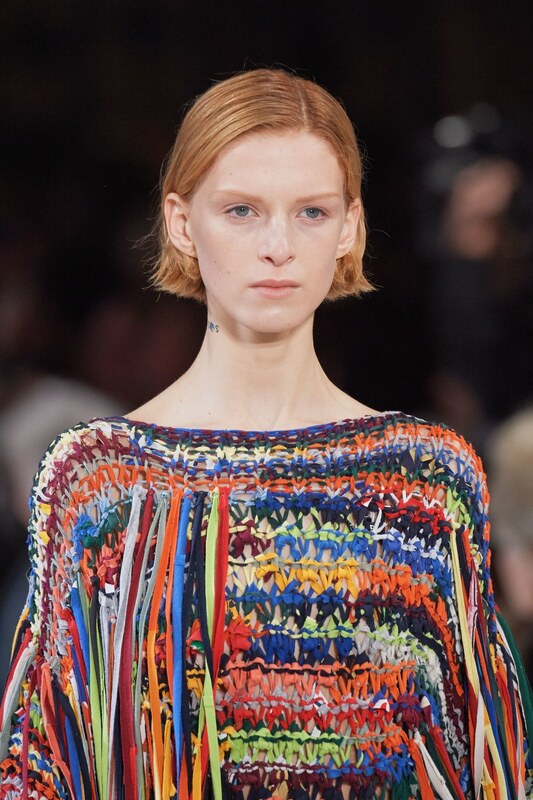 A piece of pleated fabric is sewn at an angle on the chest of the dress and spreads on the shoulder. Besides being elegant, this dress is also ecological : It’s made from GOTS certified organic peace silk. Peace silk is produced without killing the pupae. The fabric has been dyed with natural dyes: sappanwood and madder root. 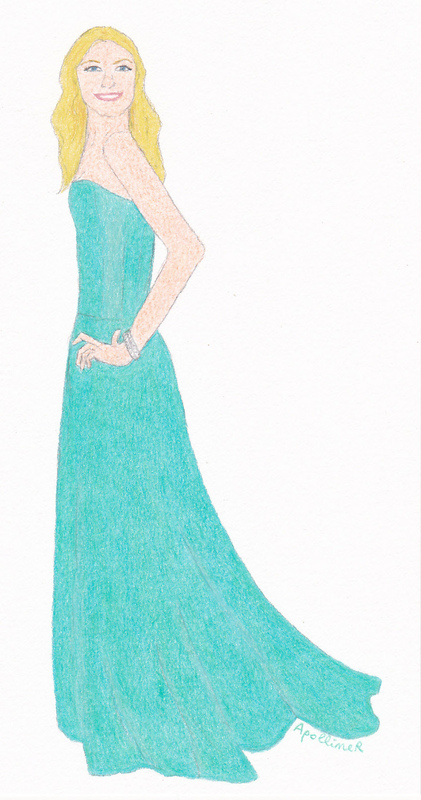 The dress has been designed by Alice Elia, a French fashion student who won Red Carpet Green Dress competition. This competition is organised every year on the occasion of the Academy Awards. At the 2013 Golden Globes, my favourite outfit is Anne Hathaway’s Chanel gown. It’s a sequined white long dress with a strapless top. The actress also stands out thanks to her nice short haircut.